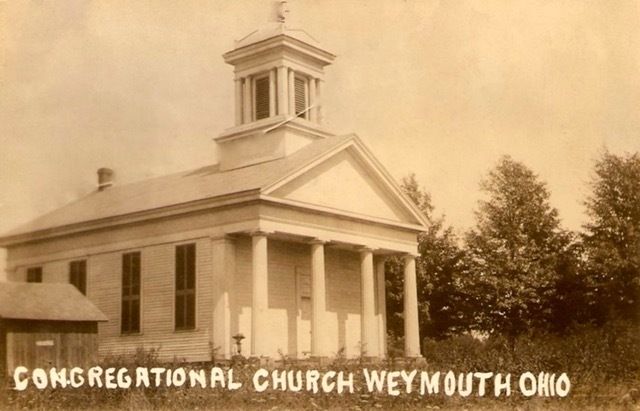 This year, the WPS was awarded an Ohio Historic Marker for the Weymouth Church. 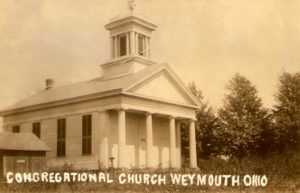 It was built in 1835 as the First Congregational Society and served until 1920 when it became the Weymouth Community Church. Our 49-page application was also awarded a grant to cover the nearly $2500 cost. The church building is important because the facade, though sided, is a nearly original example of the Greek Revival architectural style. Also, it is the oldest church building in Medina County and one of the oldest in Ohio, and it had a strong presence in the anti-slavery movement. In 1848, the congregation drafted 14 resolutions against slavery that they expected the Northeast Ohio presbytery to adopt. When they were refused, they withdrew and joined the Oberlin presbytery. 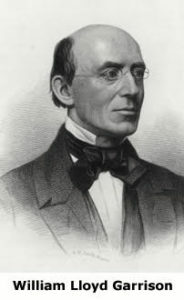 The most famous abolitionist of the day, William Lloyd Garrison spoke at the church in 1853.